As for molded magnets by injection molding also compression molded magnets requires a tool to each design. The most common material is Rare Earth material NdFeB and epoxy is used as a binder. Compression bonded magnets are isotropic and have the advantage to more advanced shapes compared to sintered magnets. Due to lower density and that they are Isotropic the magnetic properties are lower in comparison with sintered NdFeb. The magnet needs to be quoted with a layer of black or grey epoxy to protect them against corrosion. 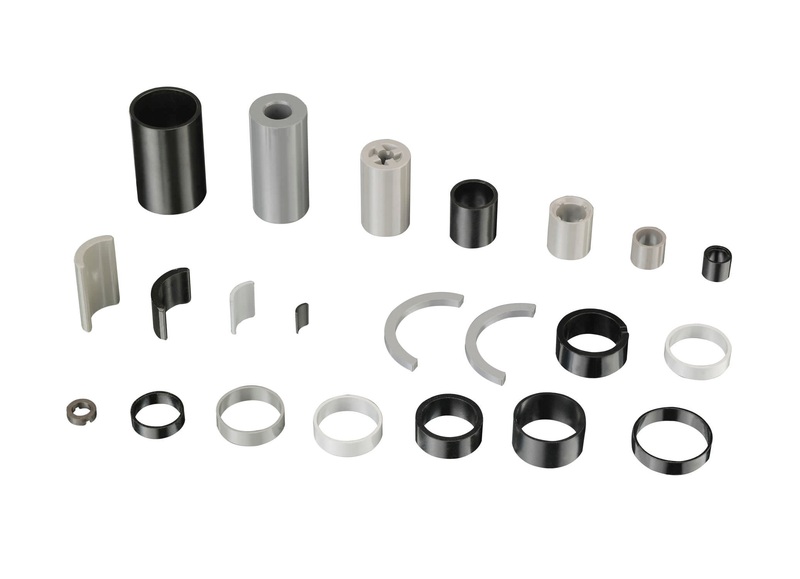 Bonded magnet cylinders are often used as rotor magnets for PM-Motors.